Geographically the islands of Antigua and St Maarten are well placed in the Caribbean to act as natural hubs for yachts during downtime and between trips. In this respect, both islands’ locations have been key to their growth and overall market position within the Caribbean. As more yachts have continued arriving in both destinations, the infrastructure has built up to support it and, as a result, both yachting communities have been self-evolving. Historically Antigua has been an important naval base for the British Navy, recognised for its two perfect natural harbours, and as a result the maritime heritage is ingrained in the region. While St Maarten is often viewed as more developed in terms of superyacht infrastructure, recent years have seen Antigua’s yachting status gain significant headway, and the region of Falmouth Harbour has become increasingly evolved without losing its characteristic Caribbean charm. Between Antigua Yacht Club Marina, Falmouth Harbour Marina and Nelson’s Dockyard Marina, there are a range of berthing options for sailing yachts and motoryachts. At the time of visiting, an impressive selection of prominent large yachts are sitting within a short distance of each other, including 81m Air, 85m Aquila, 90m Athena, 90m Nero and 73m Odessa II. 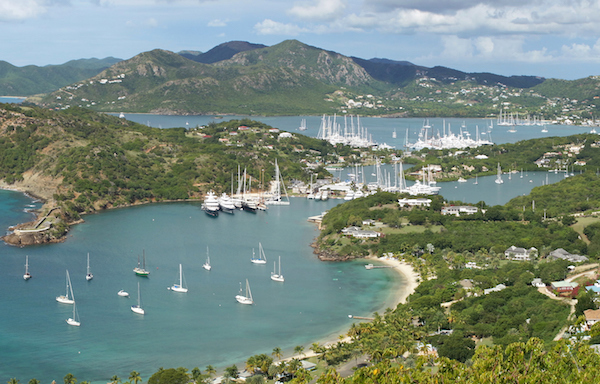 Several events have also played their part in putting Antigua on the yachting map. There are a number of superyacht regattas and the RORC Caribbean 600s, for one, attracts some serious racing boats that can arrive with three support containers each. The Antigua Charter Yacht Show every December also helps the season get underway. According to Captain Line, however, 80 per cent of the yachts taking part in the show don’t return to Antigua for the rest of the season, so the event cannot be fully relied upon to bring long-term business. Much of Antigua’s appeal derives from the aforementioned cost-effectiveness in terms of berthing and bunkering compared to other Caribbean destinations. “For us, Antigua is half the price of being in St Maarten during high season,” says Captain Adrian O’Neill of 59m Oasis. “So if it makes sense I will bring the boat to Antigua.” He adds, however, that electricity and water prices can still be extremely high, with electricity consumption able to amount to 1500 dollars a day for a boat of their size. There are already periods where it is difficult to obtain dockage and this will no doubt only get worse in the short term. For owners and guests, Antigua’s international airport with good connections to Europe and the US is a key factor for charters beginning or ending on the island. “Increasingly owners and charterers are happy to spend more time here at the beginning or the end of a charter, and visit the island’s many great anchorages and beaches, as well as the top end beach restaurants such as Sheer Rocks, Catherine’s Café and Jackie O’s,” notes Benson. This trend is something that Sarah Sebastian, charter broker at Nicholson Yacht Charters, has also appreciated. 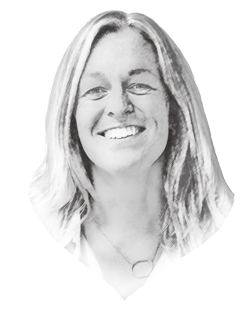 “We are finding that a lot of large yachts are now happy to start charters in Antigua and have guests spend the first 24 to 48 hours here,” she comments. The increased amount of visiting yachts has led to an equal increase in support services and infrastructure available and many captains now view Antigua as a place to go to undertake certain repairs and maintenance, with an abundance of experienced local dayworkers at hand. 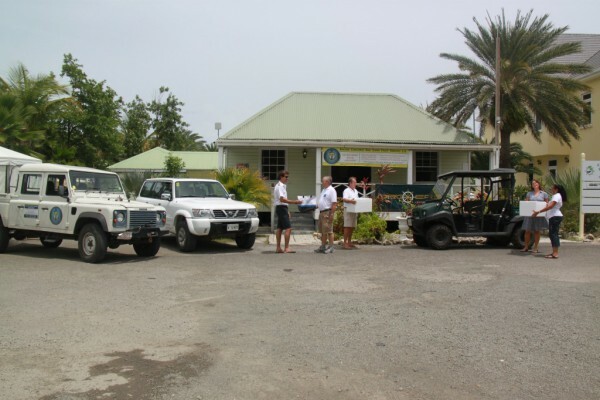 “While the network of shore-based technicians is better in St Maarten, the varnishers in Antigua are a legend unto themselves,” comments Captain O’Neill. The Antigua & Barbuda Yacht Workers Association, which has contributed to the dubbing of Antigua as ‘the varnishing capital of the world’, has a pool of approximately 150 professionals who are identified by the Association’s issued identification card. Greater collaboration with the marinas has been forged recently and upon entering the docks the ID card is presented for verification. To this end, the Association has received positive feedback and members are servicing superyachts everyday of the season. With some alluding to more marina projects around the island, and the possibility for more expansion within Falmouth and English Harbours, there is a chance that Antigua may be able to cater for more in the long run. While there is no expansion for the moment, however, it may be a case of captains getting used to booking their berths early. The 92m Myan Queen IV, for example, has already booked a berth in Antigua for the whole of December 2017, knowing that space will be limited.